We will give you expert instruction and guidance at every level, whether it is your first time climbing or you are already an accomplished climber. We offer top quality gear rental for those who are traveling light. 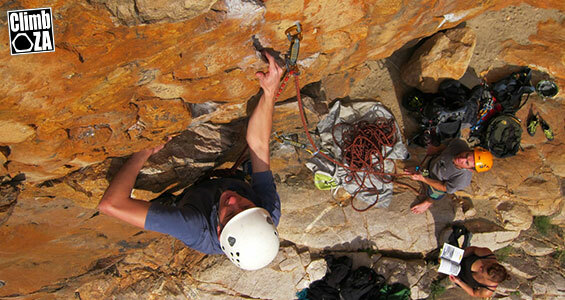 You don’t have to be the world’s best climber to enjoy scaling Montagu’s rock faces. You don’t need to have climbed at all. There are as many beginner-level options as there are scarily insane ones, and there are two very experienced local climbers, Justin and Riki Lawson, who can show you the ropes. We were all on such a lovely high after our climbing experience with you and thank you so much for your instruction. It is rare to be able to share an adventure with such a wide age group of adults and kids (12 to 50!) and to find someone who can anticipate the needs of all so well. 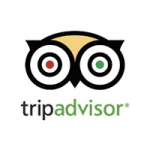 We felt very fortunate to have found you as our instructor and hope to repeat the experience again soon. Everyone enjoyed the morning. What a lovely “uplifting” experience! 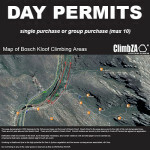 This permit entitles the permit holder and listed group members limited one day access to Bosch Kloof. This permit is required for all persons including hikers and climbers, etc. There are NO pets allowed into the kloof at any point. 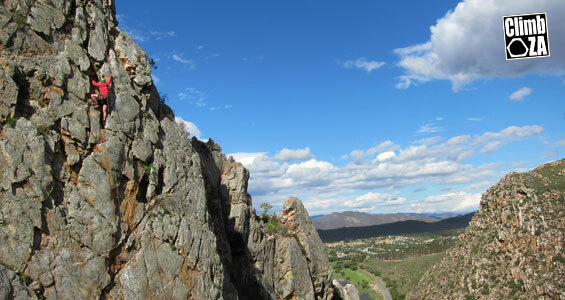 Bosch Kloof crags include: Bosch Crag, Ramset Crag, Forest Crag, Hilti Crag, Twin Fins Crag, Skull Crag and Matrix Crag. The owner and it representatives accept NO responsibility for users safety and entry as well as usage which is entirely at ones own risk. 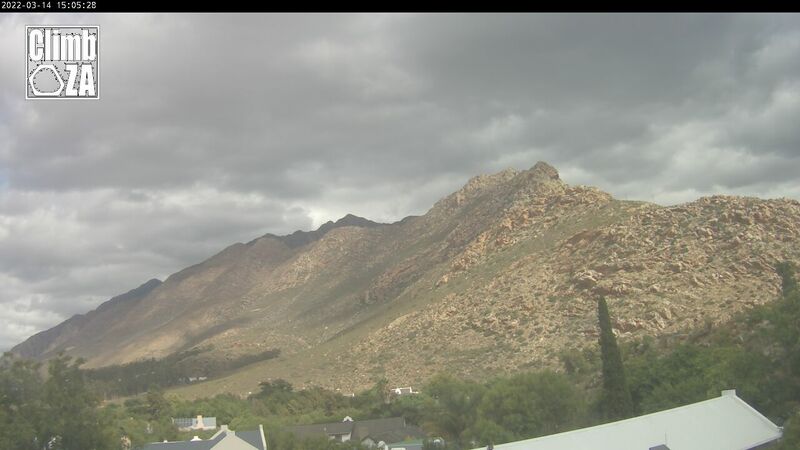 The Montagu Climbing webcam updates the image every 10 minutes. The view is looking south towards Aasvoelkrans and Cogmans Buttress.